Muhammad Hady Toure from Senegal, Africa. 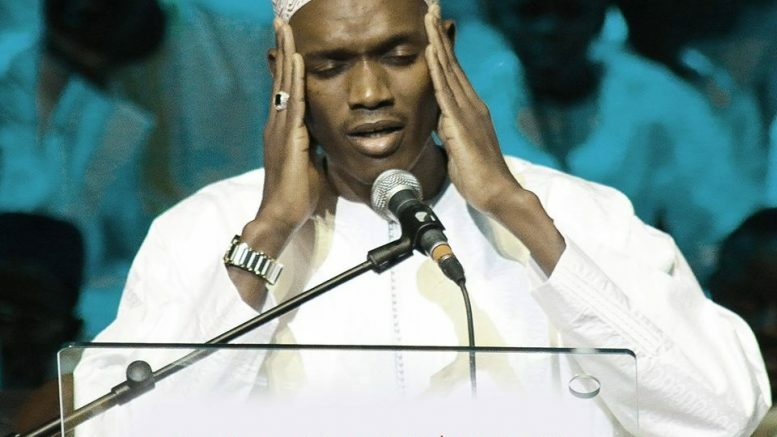 Add Muhammad Hady Toure from Senegal, Africa, as one of all time best Qur’an reciters, such a beautiful voice Masha Allah (as God has willed). 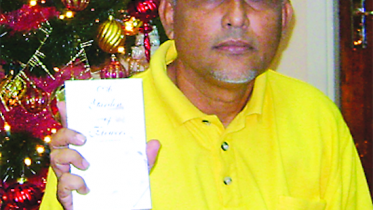 Mouhamed Hadi Tourè was born into a literary family. Indeed, his father Cissa Touré attended the seminary of Ndiarndé and on the maternal side, he is grandson of Khali Madiakhaté Kala. After studying the Qur’an under the father’s tutelage. He left his native village of Fass Touré, Thies, Senegal to be taught at the school founded by El Hadj Malick SY in Tivaouane. Endowed with a keen intelligence and a prodigious memory, he excelled in a large number of disciplines: Qur’anic exegesis, Muslim law, oriental Arabic literature, mathematics and astronomy. Hady Toure is the first Senegalese to win a world competition in Saudi Arabia in 1992. He then devoted himself to studying the readings of the Holy Qur’an until he mastered the 10 readings according to Shaatibiy’s method, and he is currently Director of the Department of Education in the Institute. Listen to Hady Toure in the video below, the text being recited up to 14:25 mark is from Chapter 59 verse 18 to 24 which can be found here; from the 14:29 to 18:45 mark it is Chapter 12 v 23 the text which can be found here; from the 18:46 to 21:04 mark it is Chapter 93 found here; from the 21:26 to end mark it is Chapter 94 found here. Qur’anic recitation is a skill that is acquired through immense dedication and hours of practice and knowledge of its underlying rules. Here is a brief overview. – Qira’at refers to the various manners of reciting the Qur’an. – Each qiraa’a has its own rules of tajweed. – In Murattal, it is not necessary to emphasize every vowel in clarity as it is in Mujawwad. – Each qira’at is named after the Qari who was famous in reciting in that manner. – There are 10 authentic Qira’at. For a qira’at to be authentic there are very detailed rules. Imam Malik recited in this manner. Imam Ahmad ibn Hanbal often recited in this manner. The 2 Qaris who preserved this recitation are Qaloon and Warsh. Imam Shafi recited in this manner. The 2 Qaris who preserved this recitation are Al-Buzzee and Qumbul. The 2 Qaris who preserved this recitation are Ad-Doori and As-Soosee. The 2 Qaris who preserved this recitation are Hishaam and Ibn Thakwan. Imaam Abu Hanifa recited in this manner. Imam Ahmad ibn Hanbal often recited in this manner. The 2 Qaris who preserved this recitation are Khalaf (who also has his own Qira’at #10) and Khallaad. The 2 Qaris who preserved this recitation are Al-Layth and ad-Doori (same one as before). The two Qaris who preserved this recitation are Isa and Sulayman. Imam Bukhari recited in this manner. The 2 Qaris who preserved this recitation are Ruways and Rooh. The 2 Qaris who preserved this reciation are Ishaq and Idris. Today, 95% of the world recites Hafs an Asim, 3% Warsh an Naafi, 7% Qaloon an-Naafi, 3% Ad-Doori an Abu Amr and 1% Ibn ‘Aamir. Then you also have the 7 types of Ahruf (dialects/modes). The revelation of the Qur’an in seven different ahruuf made its recitation and memorization much easier for the various tribes. At the same time the Qur’an challenged them to produce a surah like it in their own dialect so that they would not complain about the incomprehensibility. 1. To facilitate the memorization of the Qur’an. The arabs did not all speak arabic in the same way. The ahruuf eased the memorization and was significant in the preservation of the Qur’an. 2. To prove the miraculous nature of the Qur’an. For despite all the differences, the meaning of the Ahruuf did not contradict one another, but rather were complimentary. 3. To prove the truthfulness of the Prophet Muhammad (ﷺ peace be upon him), for despite the fact that he was illiterate, the revelation of the Qur’an occurred in different tribal dialects and different words, all of which consisted of the most fluent and eloquent speech of his time. 4. To honour the ummah of the Prophet Muhammad (ﷺ peace be upon him). The Overview of Qur’anic Recitation was sourced here. Be the first to comment on "Senegal’s Gifted World Class Qur’an Reciter"